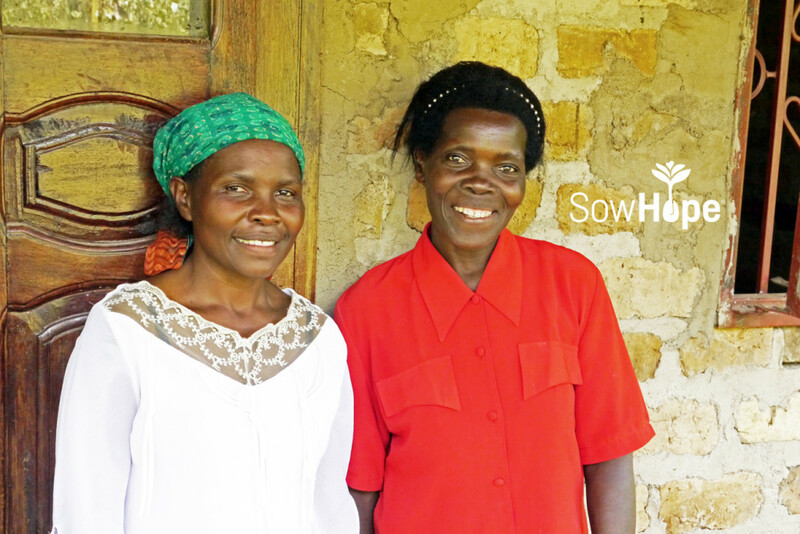 Jane (left) and Annette (right) are members of a SowHope-sponsored microfinance group in Uganda. Photo by Mary Dailey Brown. Meet Jane and Annette, co-wives who are now widowed. These women, who are good friends, have been part of a SowHope-sponsored microfinance group in Uganda since 2009. And despite being widowed, they are very successful. In the photo, the women are standing in front of Jane’s beautiful new brick house. With the microloans Jane has taken from the group, she has been able to successfully grow crops and save money to build a better life for her family. She said that before joining the group, she did not know how to budget her earnings. Now she can budget the $90 profit she earns over 3 months toward things like her children’s school fees. Two of her children are currently in primary school, and her son recently became the first person from their village to graduate from university! SowHope’s annual fundraising dinner is coming up on Thursday, Sept. 29, 2016. A donation to SowHope has an exponential impact because supporting women leads to better conditions for their children, neighbors, and communities. Wow! These women are an inspiration to us all. Thank you for sharing their story and for trusting them with micro-loans so they could blossom in their lives and pass on these fruitful blessings to their children, families, neighbors and friends. 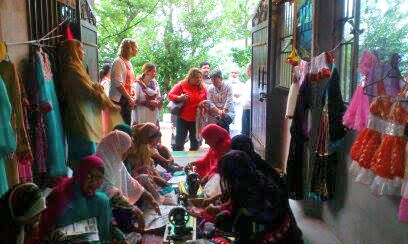 SowHope offers them a chance to build a better life and succeed in their hard work. I remember the first pictures of these 2 women and they barely smiled and they looked down so much of the time and now look at their beautiful smiles – so full of life and they hold their heads up high. This picture tells so much about how far they have come and how thankful they are for the encouragement of SowHope. Keep sowing HOPE, because it’s definitely growing!! !